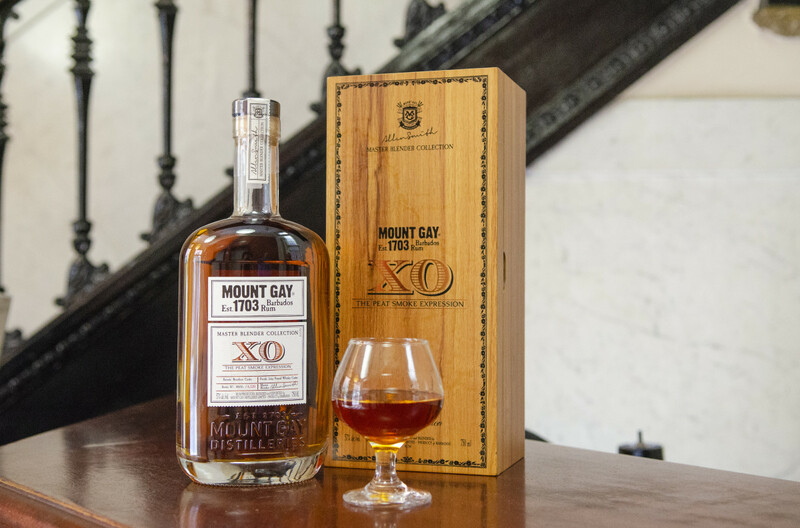 Barbados' iconic Mount Gay Rum is the culmination of more than 300 years of heritage and craftsmanship, but up till now, single malt Scotch hasn't figured into the equation. 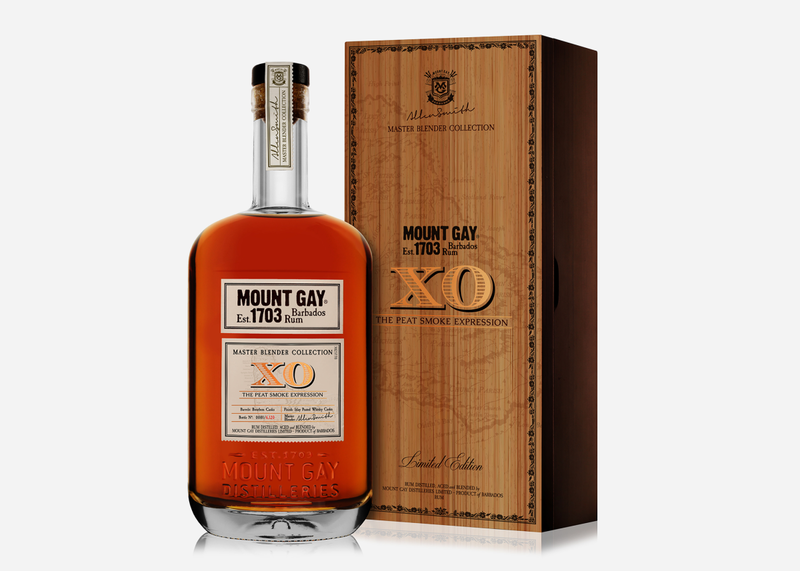 Mount Gay’s Master Blender, Allen Smith, just changed history however with his newest creation, XO The Peat Smoke Expression. 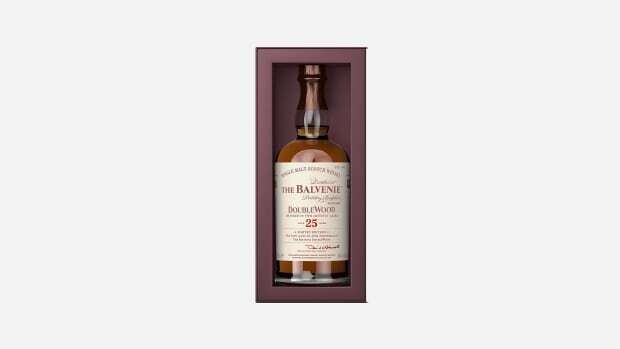 The first release in the distillery's new limited edition Master Blender Collection, it's a blend of selected column and pot still rums aged 8-15 years in American oak barrels, then matured for an additional 6 months in peated whiskey casks from Islay in Scotland. Only 1,200 bottles of the cask strength 114 proof elixir will be available in the U.S. priced at $250 apiece. 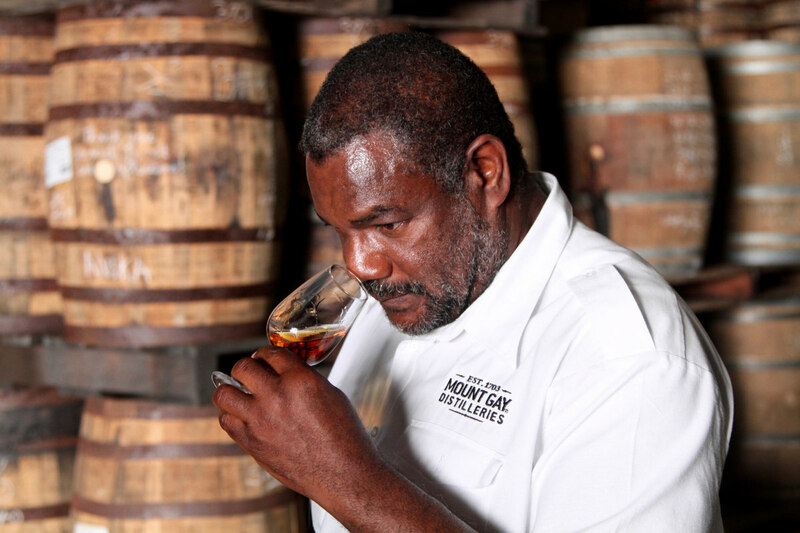 The Scotch barrels add decidedly unique notes of salt and smoke to the perfectly balanced sweetness of the rum. 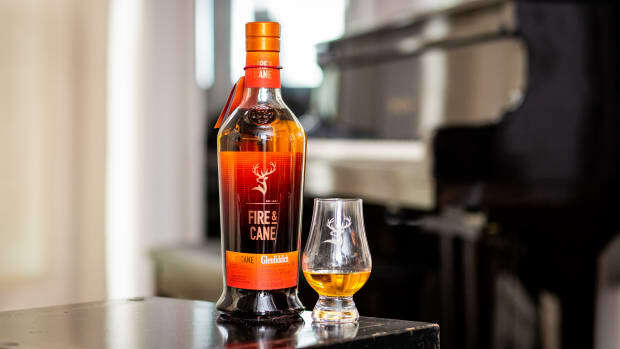 Boasting a brilliant coppery hue, the spirit has a distinct aroma of old oak, stewed fruit and sweet caramel interlaced with warm chocolate, bourbon vanilla and smoke. 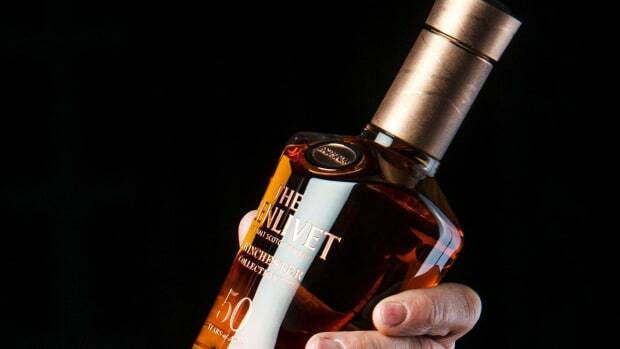 On the palate, it has a velvety texture and a long opulent finish doing justice to its sweet and smoky character.